When and where Yuri Foreman was born? Yuri Foreman (born August 5, 1980) is an Israeli professional boxer who held the WBA super welterweight title from 2009 to 2010. 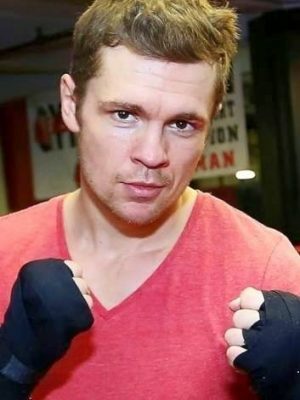 He was born in Gomel, Belarus, but currently fights out of Brooklyn, New York. Foreman has also pursued Jewish religious studies during his boxing career, and in 2014 was ordained as a rabbi. He has been referred to as the "Boxing Rabbi." The first time I walked in, I saw the stares. In their eyes, there was a lot of hatred. But I needed to box; and boy, did they all want to box me. After a while, the wall that was between us melted. We all wanted the same thing. I traveled with them as teammates. It helped that I won almost all the time. And finally, we became friends." How tall and how much weigh Yuri Foreman?